← Why is Walmart so expensive? 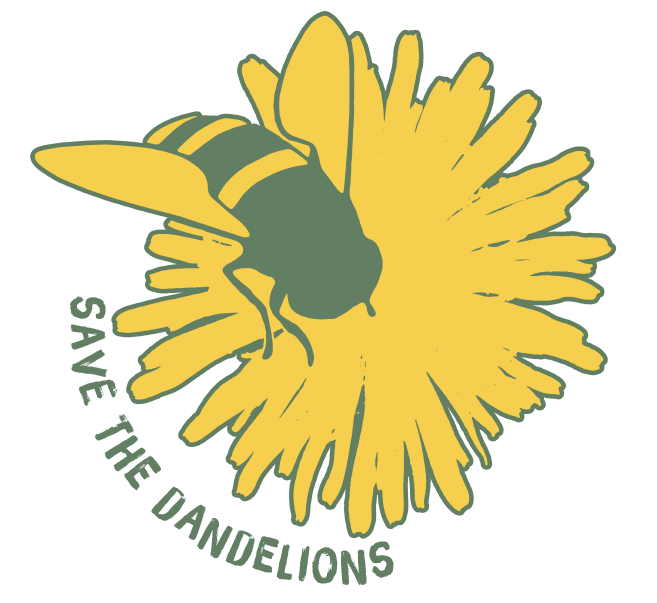 This entry was posted in environment, home, Lawn, water and tagged algae, chemicals, Chesapeake Watershed, dead zones, fertilizers, lawn care, Save the Dandelions. Bookmark the permalink. Careful, Scott — some of your customers might get carried away, dig up their lawns and start growing their own organic produce instead of buying it at MOM’s! Thank you for bringing attention to this important issue! Every change started with a radical idea! The more we push, educate, and talk about it, the less radical it becomes. I cringe too in Spring and Fall- the yellow signs are everywhere and they are not harmless like dandelions. But look at Canada! A wave of providences have ban lawn pesticides – and yet, the lawn industry is doing just fine. 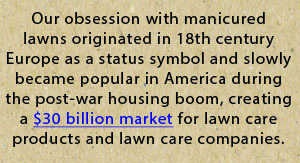 There are still lawns to be mowed and alternative, safer programs to sell. 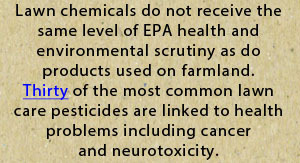 Also, the Home Depot stores there have stop selling the toxic pesticides and change over to alternatives. Businesses will adapt and do just fine without toxic lawn pesticides. These Canadian families are protected from pesticide exposure in their communities. We SO deserve that too! Our children deserve that now! Not 20 years from now, when it’s too late for them! It is a scary thing to speak up against the masses or be different. We tend to use lawn pesticides because our neighbors are using it – neighborhood peer pressure. The HOA’s poison whole communities because the other HOA’s are doing it. It’s quite remarkably insane. Thanks so much for speaking out on this issue and also taking action: I’ll be dropping off several bottles of herbicide that I “inherited” from the previous owner when we bought our home. And I’ll spread the word to my coworkers as well!